Please note, Flow-Flow will not load on password protected stores. Consider disabling password protection temporary or install the app on different store with public access if possible. We are exploring technical opportunities to improve this case. Before you proceed, please check that you configured Flow-Flow app and added at least 1 stream. 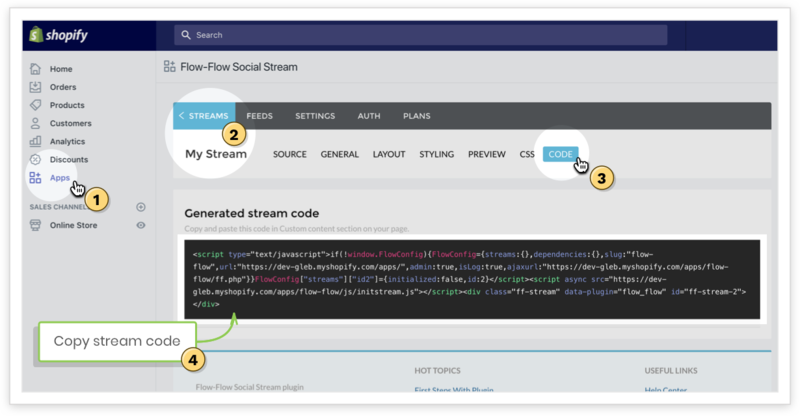 Then go to Flow-Flow admin panel, edit your stream, find generated code under the Code tab and copy it. There are three methods you can use to insert Flow-Flow feeds into.your theme. Be advised, not every theme supports all of them. While editing theme template select Add section. Scroll down and choose Custom HTML. Paste Flow-Flow code you generated at the beginning of this guide and save changes. 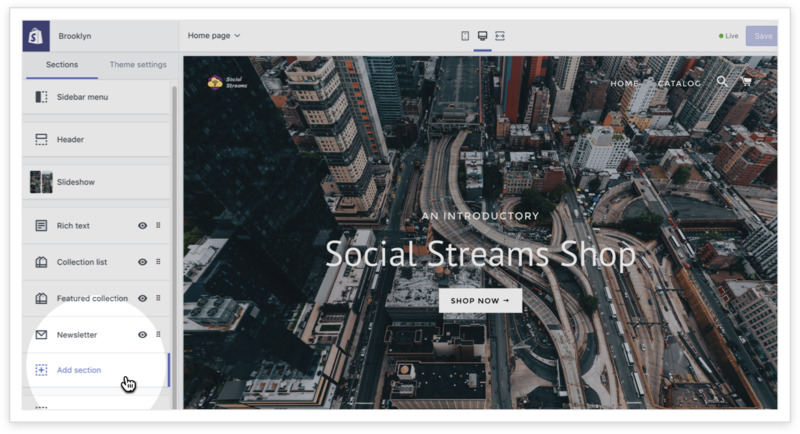 Edit page or create a new custom page for your store. Go to Online Store > Themes and click Customize button. Select Theme actions on the left pane and choose Edit code. 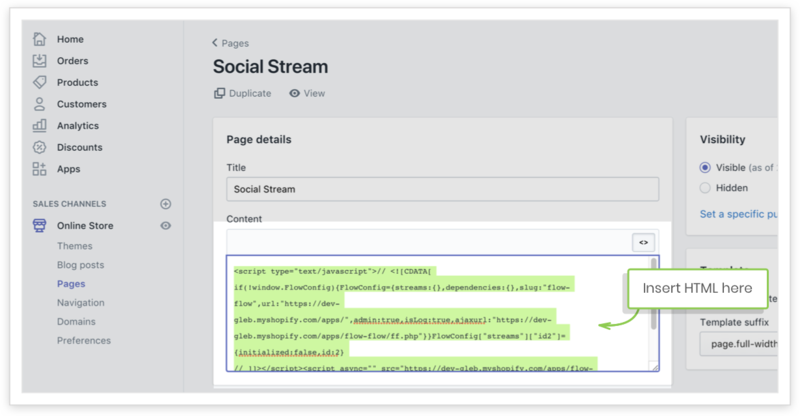 Now you need to edit desired template and paste Flow-Flow code you generated at the beginning of this guide. Be advised, that templates and code differ depending on theme you use. So there is no universal solution with screenshots. If you are not sure what to do at this stage you may ask your theme developers for advise or contact us and provide temporary access if possible.